Coinciding with Roman Empire: Power and People, Classical Art: the Legacy of the Ancients illustrates ancient Greek and Roman culture through a dynamic contrast of paintings, sculptures, screen-prints, ceramics and drawings. Drawn from Dundee’s collection of fine art, the artworks embody the mythical influences of the ancient Greeks and the Romans. The ancient Greeks’ focus on figures and form has laid the foundations for much of figurative art today. It is this combined focus, alongside an affinity to mythology, which engenders the creative depictions of heroes and gods within their work. The Greeks are considered foremost in their ability to construct mythical stories of heroes and gods. These stories can be seen both in their plays and in their art. This exhibition places historical information alongside the artwork, thus enabling a further understanding of the context behind the work. The exhibition juxtaposes classical with more contemporary art styles, which adds to the allure of Classical Art: the Legacy of the Ancients. From Kate Whiteford’s Votives and Liberations (1982) to Martin Rayner’s Persephone (1993), the contrast between scale, style and medium is clearly seen. Ian Hamilton Finlay’s work, Arcadia(1975), is set alongside a piece by Gillis de Hondecoeter, The Expulsion of Hagar (1609). 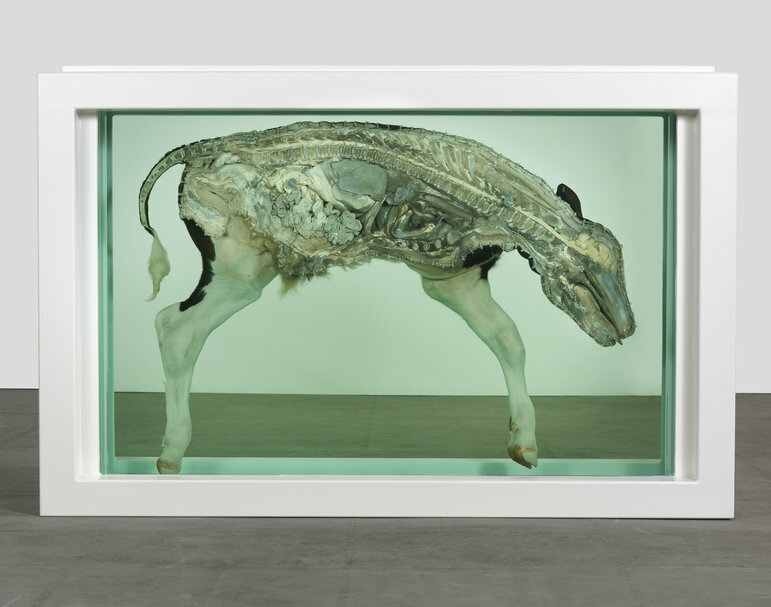 It is this somewhat unlikely mix of styles and periods that form an interesting dialogue between the contemporary and the traditional, which adds to the overall success of this exhibition. Classical Art: the Legacy of the Ancients is effectively curated. The works are arranged to ensure the viewer actively engages with the exhibition as they are guided through it. Reading material is provided in the form of historical books that explore the Greek and Roman influences within Scotland. It is the culmination of the layout of the exhibition, the contextualisation of the works and the artworks themselves, that helps transform this experience into one of simultaneous education and relaxation. Despite its success, one limitation of this exhibition is the lack of order as to how one views the works. The wall plaques seem to be randomly set alongside works, and the works themselves feature in neither chronological nor topical order. The purpose of this exhibition is to raise the awareness of Greek and Roman influences within Scotland in the realms of art. Perhaps, then, it would make more sense to arrange the works within chronological order, demonstrating the progression of these influences throughout the ages. Overall, however, this exhibition is well worth a visit. Located in Dundee’s city centre, it contextualises Scotland’s heritage, and highlights a classical influence on contemporary art.Classical Art: the Legacy of the Ancients serves as a reminder to the expanding contemporary art scene of Dundee that, no matter how far art abstracts itself from its preceding foundations, those foundations will never truly vanish. Exhibitions Student Curatorial Team members Kirsten Mae Wallace, Eilidh Wilson, Fiona Morag McKinnon, Alison Kay and Aylson Stewart share their reflections after collaborating on Hot Air: Cooper Gallery Project Space, 16-20 February, 2015. The exhibition was devised in response to Men Gather, in Speech… the concurrent film exhibition in Cooper Gallery, Jan-Feb, 2015. After putting a call out to the Cooper Gallery Student Curatorial Team our small group of 5 was formed. Within a couple of meetings we had formed our proposal. We worked well as a team and our idea and concept was reached quickly. The idea was to each view art from the 3 artists that would feature in the Men Gather, in Speech… exhibition and to form a sentence that encapsulates their work. In order to make sure that we did not make the art that we wanted to purely because it appealed to us we then passed our sentence on to the next person. We decided not to share our sentences with the whole team because we thought that might affect the work we created. This was a great introduction to working collaboratively because, although we were working as part of a team, we each individually created our clips. 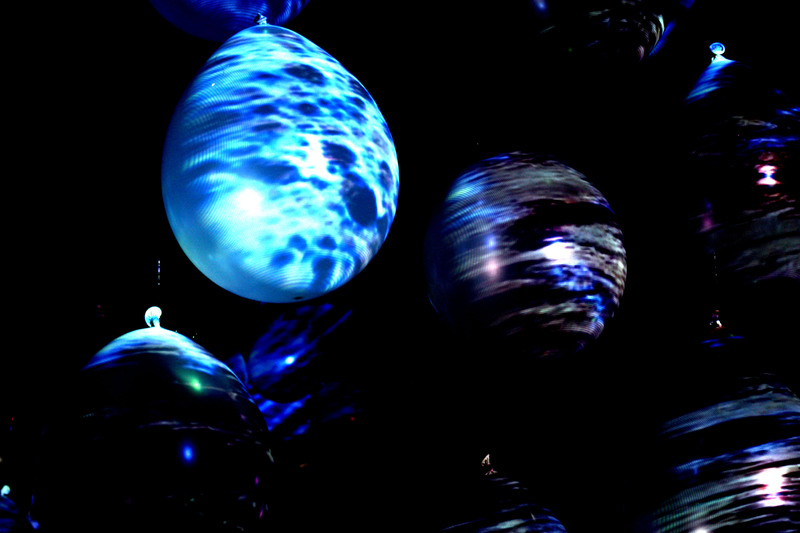 Projecting onto balloons abstracted and tied our work together into one cohesive unit. Without the balloons the project would not have worked so well. I think, for all of us, the balloons worked far better than we had ever imagined. The projection was visible through the balloons and this added an extra dimension we had not expected. The balloons, the layout and the viewers interaction with them was for me the strongest part of this project. “This exhibition was extremely challenging as it was a collection of firsts for me. I am a direct entry student in to level 2 Fine Art. I have never; worked collaboratively, in film, made a proposal or worked as part of the Student Curatorial Team before. I lacked confidence and knowledge when it came to collecting and creating the film clips that I was going to show in the exhibition. This was highlighted in the fact that I failed to remove the sound in my clips. If I had more time and experience I would have added audio to my work. I will experiment with this further in the future. My confidence lay in the materials and installation of the exhibition. I was an active member in bringing us together as a team and keeping the momentum going. This project highlighted my strengths and weaknesses. It gave me a deeper understanding of what goes into putting on an exhibition and what needs to be considered. Our attention mainly lay in the production of the videos and the installation giving little time for marketing, budgeting and organizing all the other parts that make up an exhibition. The dull stuff is equally as important as the fun stuff. “I saw this opportunity as means to expand my studio practice and work within the Student Curatorial Team. I am studying my masters with a focus on art practice but come from a humanities background so being given quite a specific brief to work from made the whole process much easier. The sentence I was given really resonated with me and I looked into the struggles of my own past as inspiration. I found the process of making the video difficult and very cathartic, although was ultimately happy with the outcome. I do feel that due to other commitments towards installation of the exhibition meant that I was not fully involved in the process and did not help the dynamic in the team. It was a steep learning curve for all of us and having gone through the experience I would definitely look more at the logistics (marketing, budgets etc.) of everything and not get as absorbed by the actual making of the piece. “I found taking on this project as a new means of gathering everything I have learned over the years and putting it into practice by being part of an exhibition. As a 4th year student, I thought it was important to challenge myself and see how the ideas that I am exploring in my work for degree show can be taken into different contexts. The sentence I was given set off a number of ideas, but after having went to the opening talk with Rose English, I felt inspired to recreate a work I had made in 2nd year and incorporate it into the video. “Throughout the past four years studying Art, Philosophy and contemporary practices, my ideas and interests have grown and developed through both critical and practical practice. It is this which was the foundation of my enthusiasm to take part in this collaborative project. Responding to men Gather, In Speech…, we decided to work in the medium of digital film. I feel that this experience has aided my personal practice greatly, for I currently work in this medium. “I was interested in this opportunity to create art work as a group in response to Men Gather, in Speech… as the call out was centrally revolved around moving image, which is currently the medium I am working with in my own practice. I have been looking for the chance to work in a collaboration for a while so I saw this as a perfect opportunity and decided to meet with other members of the Student Curatorial Team who were beginning to put forward some very interesting ideas. We had a very productive first meeting and it was apparent we were all on the same wavelength. I was happy with the sentence I received from Fiona shortly after this meeting and found it a very helpful starting point in creating film scenes – which I wanted to draw upon beauty in the every day. I enjoy video editing and piecing scenes together but always struggle with gathering the film footage, so having this brief to work on and respond to has proven to be a useful way of working. Having set deadlines and others relying upon my input also helps. I enjoyed the process of installing the balloons and found that we worked particularly well together during this install. The balloons looked fantastic once the projection was up and running, and it hit various angles which made for some interesting photographic documentation. I learned which parts of my own film worked well and which scenes did not. Strong colours and patterns worked very well on the balloons, as did text and parts of the body. However bright, fast paced movements in my own film was difficult to make out. We could distinguish connections throughout our films which we had not intended and overall I thought the exhibition was visually, a great success. 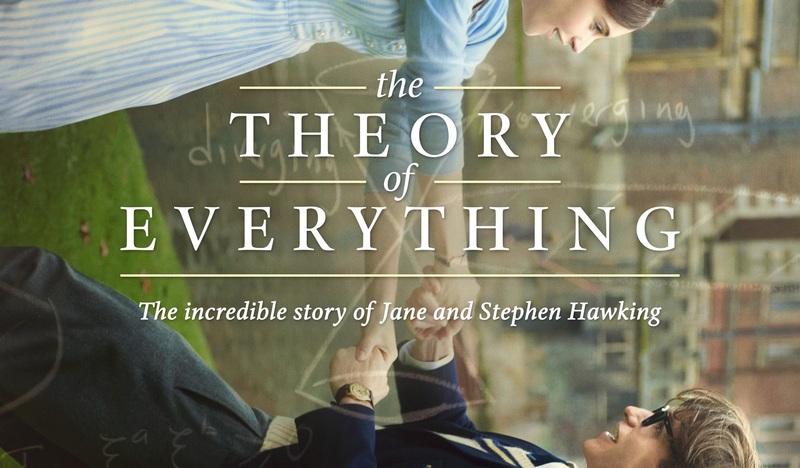 The Theory of Everything is a compelling film, adapted from Travelling to Infinity: My Life with Stephen by Jane Wilde Hawking. The intimate workings behind Stephen Hawking’s genius are glossed over, in this instance focusing instead upon his personal life. It is an evocative portrayal of Hawking’s struggles with MND (Motor Neuron Disease), offering a glimpse into the gradual decline of his motor functions, the strain that this placed on his relationship with his wife Jane (Felicity Jones), and his unyielding perseverance in the face of adversity. Eddie Redmayne offers a skilful performance in the titular role, allowing Hawking’s personality to shine through even in the latter half of the film, in which he is unable to speak. This performance, alongside Benedict Cumberbatch’s role as Alan Turing in The Imitation Game, has been nominated for an Oscar. Like The Imitation Game,Theory of Everything privileges biographical details over professional ones, highlighting the men’s achievements in overcoming personal difficulties as well as intellectual ones. Jones similarly plays her role well, displaying the bright English persona to great effect. However, at times this can come across as rather reserved, and as a result the heart-wrenching anguish of this story is limited. The pivotal moment comes at the point where Jane decides to end their marriage, a climax which is made evident by tension-building musical scores and panning camera angles which focus upon the discontent seen in Jane. The increasing dullness and lack of vibrance within the scenes further make the climax evident via skilful use of lighting. The dissolution of the marriage becomes a point of conflict for the spectator as both husband and wife are portrayed as being equally hurt. Even with Jane’s brief affair with Jonathan Jones (Charlie Cox), the viewer completely empathises with both parties. This love affair arose when Stephen became more and more reclusive during the advancement of his MND. Indeed, the antagonistic influence here is neither spouse, but the illness which eats away at body and relationship alike. Despite the excellent array of emotive scenes displaying the overlooked personal life of Dr Stephen Hawking, in the second half of The Theory of Everything the film falls into the same pitfall that those which focus on Hawking’s scientific achievements do; it focuses too fully on his battle with MND and as such his prolific intellect can at times be downplayed. Nonetheless, it is to Redmayne’s credit that he has managed to avoid allowing his role as Hawking to be debased as a personification of a disability – rather, as a full and feeling, extremely intelligent man. It is the close-up shots and the carefully selected camera angles which allow Redmayne to achieve this. It is the camera’s focus upon the smallest details of his physical disabilities juxtaposed with his lively facial expressions which allow for him to perform such an excellent titular role. The lack of attention which is paid to Stephen Hawking’s work is redeemed to some extent at the end with his presentation of his work, where it is at last shown clearly how much merit his research gains him. The previous scenes showing his published book and his visit to the Queen are swept over, and his ground-breaking title of A Brief History of Time is featured in only a single shot. It is therefore the final presentation which gives true justice to Stephen’s ongoing research. Overall, this film is both powerful and emotive, though it is somewhat guilty of sweeping over the brilliance of his work. However, Hawking’s work is so widely renowned that perhaps it doesn’t need to be completely reiterated again. This film’s purpose is to demonstrate the determination and commitment which he had for his work, which pushed our understanding of physics forwards in leaps and bounds. Hawking’s work is the foundation for many a theory, andThe Theory of Everything tributes him with a moving performance of his struggles in achieving these theories. The renowned American artist Jim Campbell presents his first solo exhibition in the UK this winter with Indirect Imaging. After studying Mathematics and Engineering at MIT in the 1970’s, Jim Campbell has since worked in filmmaking, interactive video and LED light technology. 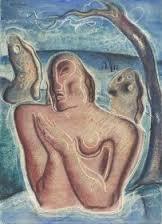 His work is in the collections of major museums including the MoMA, the Whitney Museum of American Art and many more. It is a great delight to be able to see the genius of his work first hand in the ever-growing contemporary art scene within Dundee. Campbell constructs magical light sculptures using low resolution home movies and light installations. His light sculptures are made using LEDs, the images portrayed in them being derived from the movement within the films he uses where he decreases the resolution of these simple home movies drastically to keep recognisable visual information to a minimum. Dimly lit, the only sources of light within Indirect Imaging are from the works themselves. This focuses attention on the works themselves in all of their detail. The use of LEDs in connection with moving images creates a series of abstractions, which in turn create a sense of other worldliness. Jim Campbell’s use of LED lighting to create low-resolution images is further a subversion of the high-resolution ‘technological era’ that we live in today. His low-resolution imaging creates something more timeless: more aesthetic and less anchored in the everyday. From a small rectangular black velvet panel to a full room installation, the size and scale of the works in Indirect Imaging differ immensely. Indeed, Tilted Plane is in fact one of the largest scale works ever to be installed in the galleries of DCA. It is the scale and also the ability of the viewer to walk into the installation – to see it from another perspective – which compels the viewer to engage with the work completely. Tilted Plane also relies on reflection: the hundreds of lights hung from the ceiling are reflected upon the floor create an immense spatial depth. Perhaps the most thought-provoking work is Last Day in the Beginning of March. This work draws on the last day of the life of Jim Campbell’s brother. Twenty-six lights are suspended from the ceiling, each creating a circular pool of light on the floor. Around the walls are mounted and illuminated fragments of text representing a memory or an event. The addition of an audio recording of rain completes this installation and evokes an overwhelming sensation of melancholy. The incessant rain and the continuous flux of lights accentuate the quality of the mood ; the focus on small textual fragments, the details in the text of “Windshield Wipers”, “Driving”, and “Raining”, give an importance to the things which at the time might seem mere trivialities. 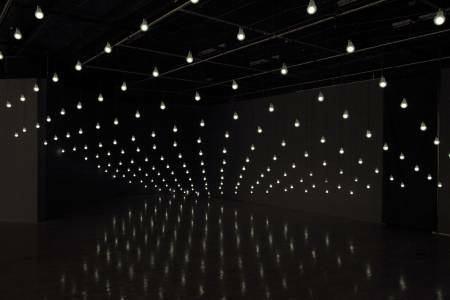 Overall, this exhibition exceeds expectations; the attention to detail, both within Jim Campbell’s works and its curation, has created an exhibition which is exceptional and original. The expanding boundaries of art can be seen most latterly in the modern day contemporary art scene. Art, however, has always been changing; developing and progressing in keeping with the times. Art brings into play – in the expression of a physical object – the newest thoughts and feelings surrounding society. Therefore, with political change (the global pillage surrounding wars; economical depression and inflation – the list can go on infinitely), there will always be a shift in society which is reflected in art. ‘Barberini Faun’ or ‘Sleeping Satyr’,Roman marble copy of Greek bronze original ca. 220 BCE. Rome, Italy. These progressions within society can be readily seen whilst looking at the progressions of the art movements throughout the ages. In the Hellenistic period the art reflected the Greek idealism which emphasised balance, perfection and perfect proportion. After the Hellenistic period came the time of the Romans (500BC – 476 AD). The Romans preferred a more practical, down-to-earth approach to art. Due to this, sculpture was considered to be one of the highest forms of art, and the medium of pottery was also very popular. Looking at the Middle Ages (500 – 1400 AD) we can see an influx of Celtic art in addition to Gothic art and architecture. The Middle Ages were a particularly dark period, featuring events such as The Black Death (or Plague) as well as the Hundred Years’ War (1337 – 1453 AD). Moving on from the Middle Ages we come accross the Renaissance movement (1400 – 1550 AD). It was during this time that there was a great rebirth of classical culture. Renaissance art took its roots in the antiquity of classical culture, but it spread throughout Europe with the Renaissance Humanist philosophy. Seen throughout this period is the true introduction of the techniques of Chiaroscuro, foreshortening, the creation of the illusion of depth and of three-dimensionality. Well known artists from this period include: Michelangelo, Donatello, Raphael and Jan van Eyck. The Baroque period occurred from 16o0 – 1750 AD and originated in Rome before spreading to the rest of Europe. This period was heavily supported and encouraged by the Catholic Church and as a result of this there is a heavy emphasis in God within works from this period. Features of Baroque art are: grandeur, drama, exaggeration motion and clear detail. Next came the Neoclassical art movement that arose in the time of the Enlightenment (18th century). It attempted to recapture the grace and grandeur of the Greco-Roman times and included artists such as Lorenzo Bartolini, Anton Losenko and Andrea Appiani. Progressing forwards, the Romantic period (1780 – 1850 AD) came to be at the time of the American Revolution and emphasised traits such as individuality and imagination. Artists from the Romantic Age include Delacroix and Turner. The Realist period (1848 – 1900 AD) is particularly interesting in exemplifying the role art plays in demonstrating the thoughts and feelings of society. Arising with the European democratic revolutions of 1848, it celebrated the working class and peasants; which is a great contrast to the high, Godly, divine paintings that came before this age. Traits seen from the Realist period include an attention to portraying the subject matter truthfully. Thus far we have a brief understanding of the art movements up till the late 1800’s. I have been brief in this, in the attempt to lay out a basic timeline and as a result have excluded other relevant details. However, my purpose is not to give a full art history lesson. My aim is to give an overall understanding of the times in which the art periods developed, so to allow for a greater context as to why they came about and how they developed into what we call art today. What I feel is most crucial to my work, when considering the context behind it, is the period from the late 1800’s onwards due to the fact that it is this period which I have been most influenced by in my work. This starts from the Impressionist movement from 1865 to 1885 AD. Impressionism was primarily concerned with capturing the natural feeling of light. There is a sense of movement and life in the works of art from this time, and this is a quality which I try to encompass within my work also. There are many well-known artists from this time, such as: Pissarro, Renoir, Monet, Manet and Degas. 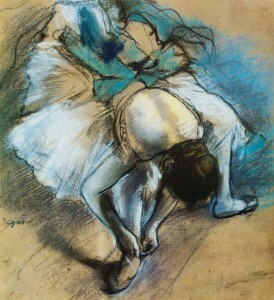 Edgar Degas is one of my major influences in the sense that it was he who truly made me love art and what it can achieve. Particularly looking at his Ballet Dancer studies, you can see life, movement and also the love that he put into his work. Moving on, we shall look at the Post-Impressionist period. 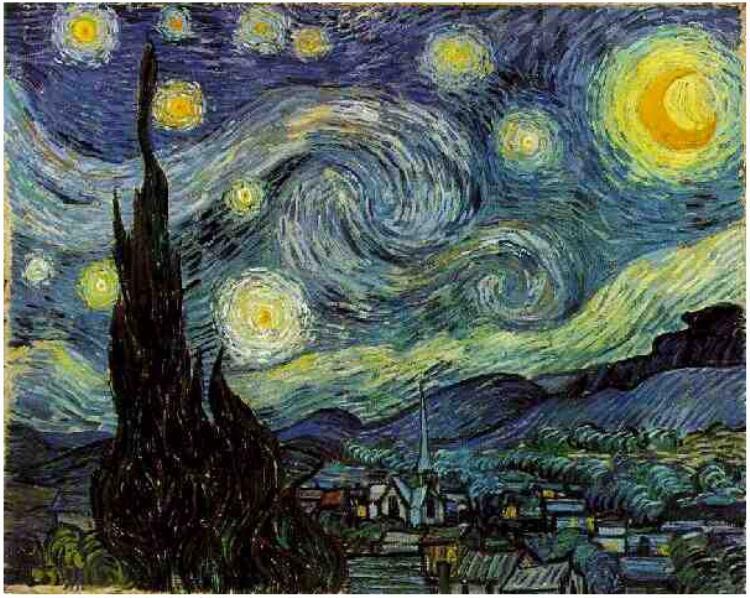 This movement was led by the artists Vincent Van Gogh, Paul Gaugin, Paul Cezanne and Georges Saurat. It was a reaction against the Impressionist movement, in that the post-impressionists rejected the impressionists concern with the spontaneous, naturalistic way in which they rendered colour and light. The post-impressionists put an emphasis on order, structure and symbolic content. They also believed that colour could be independent from form and composition in that it could bear its own meaning; both aesthetically and emotionally. There was an overlap in periods between the post-impressionist movement (1885 – 1910 AD) and the fauvist/expressionist movement (1900 – 1935 AD). Featuring artists such as Matisse, Kirchner and Kandinsky, paintings from this period featured harsh colours and flat surfaces (from the fauvists) and emotion which distorted form (from the expressionists). These movements surrounded the devastation that was World War One. From 1905 – 1920 AD came the Cubist movement. There were also other pre and post World War One art experiments, attempting to find a way to express what life was like. However we shall primarily focus upon the Cubist movement. It was one of the most influential art styles of the early 1900’s and was created by the artists Pablo Picasso and Georges Braque. Cubist artists rejected the notion that art should imitate nature, in addition to the techniques of modelling, perspective and foreshortening. Common in many Cubist paintings is the feature of a multiple-vantage point. In other words, the artist has painted an object so that you can see all of its angles and sides on the one two-dimentional canvas. This is what makes many Cubist works appear somewhat obscure and fragmented. After the First World War, the Dada and Surrealist movement (1917 -1950 AD) came about. Caused by the mass disillusionment after the war, these movements focussed on the subconscious and exploring states such as dreams. The post-war phase was a particularly difficult one for most people to deal with, not helped by the oncoming of the Great Depression in 1929. The beginning of World War Two was just another reason for people to become more immersed within their own heads, their subconscious and their dreams. Not only did this war contain the horrors of the first world war, it also contained the devastating aftermath caused by the atomic bombs dropped on both Hiroshima and Nagasaki as well as the horrors inflicted by the Nazi’s on the Jews. It was a dark place for our planet at that time. It is for this reason that the paintings of Dali contain more than just their eerie creepiness. Dali painted at a time where the frightening images in a dream or a hallucination were at times a better alternative to reality. After World War Two came the arrival of Abstract Expressionism (1940’s -1950’s). This movement featured pure abstraction and expression without form. It was a step further than what the Dada and Surrealists attempted to do. 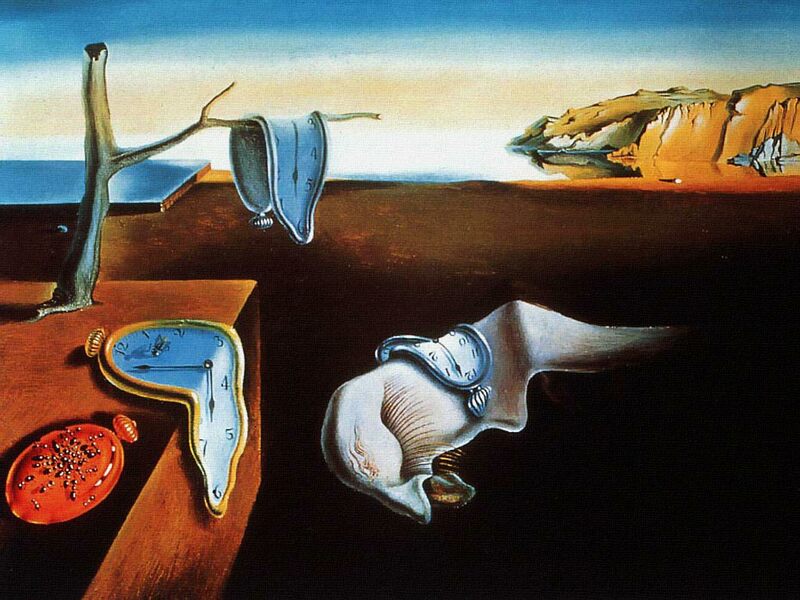 The Dada and Surrealists became detached from reality, but still remained within the bounds of it. Abstract Expressionism, however, relinquished all chains of reality and became its own entity. An artist which I feel to be an excellent example of Abstract Expressionism would be Jackson Pollock. 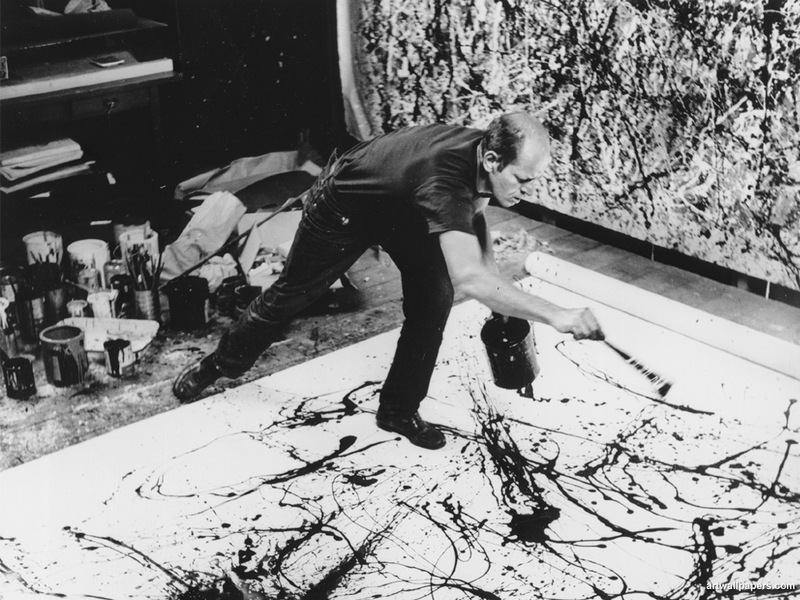 Pollock was an American artist and was known for his style of drip-painting. Pop Art emerged in the 1960’s and is well-known, particularly in relation to the artist Andy Warhol. Pop Art was concerned with consumerism and functioned well in light of the development of industrial methods to allow quicker production of products. From the Pop Art movement we enter into the Postmodernism and Deconstructivism phase from the 1970’s onwards. This movement trademarks art without a centre and is focussed around experimenting and mixing with past styles from various movements. It is from this that we arrive at the contemporary art scene today. I would not say that there is a distinctive style to the phase that we are in now. Indeed, the emphasis today is on experimenting; the emphasis is on finding something new to which we can focus on. The mediums which we view to be fine art also have expanded. Performance art has become a major part of the art scene today as well as time-based art works and inter-disciplinary works. I have seen my work grow and develop over the years, and I must say; it can be both an incredibly rewarding and soul-destroying experience. Seeing a work which you have invested much thought, commitment, effort, time and money into fail is something which only a fellow artist can sympathise. But seeing this same work succeed is something which can only be described as a feeling of ecstasy. There is a question which is raised among students at art school of, ‘am I an artist?’ For we have come to art school to become an artist. This logically means that we are not yet artists. So it should seem that when we graduate we will become artists. But is this the case? Does one become an artist after graduating? Or is it within your own self that you deem yourself an artist; not to rely upon the paper qualification which our degree shall give us. Because, really, how does a certificate – a piece of paper – make us an artist? Indeed, many of the great artists never succeeded at art within the educational sphere. It should be within our own selfhood that we become an artist. It may not be a definitive transformation; it may be a gradual, unnoticeable change over a period of time. But, one day, with perseverence and with self-belief we shall become an artist. It is an individual journey which no-one apart from ourselves shall dictate to us. By the use of the word ‘artist’, I do not merely mean it in the strict sense of ‘fine art’. By the use of the world ‘artist’, I encompass on a broader scale within the world, all of the arts and even beyond. To me, art is a skill base. It is a skill base whose foundations are formed upon a natural talent. But the transformation from these foundations is what makes one an artist. It is with love, committment and perseverence; repetition, trial and error and indeed even failure at times. It is only through this journey that can one truly become an artist. From this perception of what it means to be an artist, one could encompase a broader range of skill bases into the definition of an artist. One could be an artist as a lawyer or an engineer, a construction sight worker or an investment banker. These types of artists would simply deviate from the stereotyped pre-conception of the traditional painter or photographer types of artist. So, I have conveyed my opinions on the subject of what it means to be an artist; however, there are many. Some would argue that an artist is only an artist when they are viewed so by society, or when their work is displayed in a gallery exhibition. But is this the case? A slight conclusion on the topic can be drawn by encompassing the field of aesthetic theory into the discussion. When one looks at a work of art, one may find it aesthetically pleasing or aesthetically displeasing. Another person may look upon the same work of art and find it profoundly beautiful. Aesthetic taste is subjective, each individual possesses different aesthetic values – and this is where the problem lies within this debate. Some philosophers have argued, such as Immanuel Kant, that one can only make a true aesthetic judgement when we have no personal interest in the object. However, for society as a whole, this is a slightly impractical method of judging artworks. There will always be a preconceived value depending on the context of that work of art. Thus, the debate shall continue within aesthetics concerning these issues that I have raised. Perhaps one day they will be answered truly; perhaps not. I think not, but the debate itself is incredibly interesting and essential to know when truly attempting to understand the issues surrounding the judgements of both artists and their artworks.